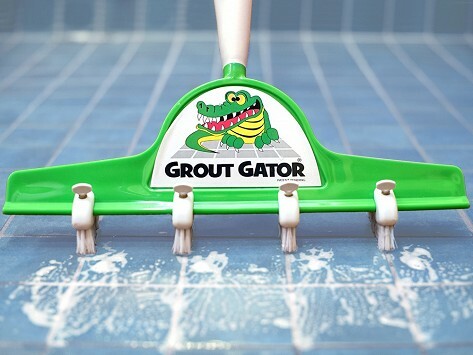 A cleaning tool with four adjustable brush heads makes it easy to clean grout 4 times faster. Brushes adjust to any size tile up to 12 inches in width, and the Grout Gator head attaches to any standard cleaning pole. Fully adjustable brush heads suitable to clean tile from sizes 2" to 12"
Oh what a time saver! This worked out so nice, did a good job. Saves the back for sure. So glad I bought it. I was amazed by how great this product worked. Cleaned beautifully. 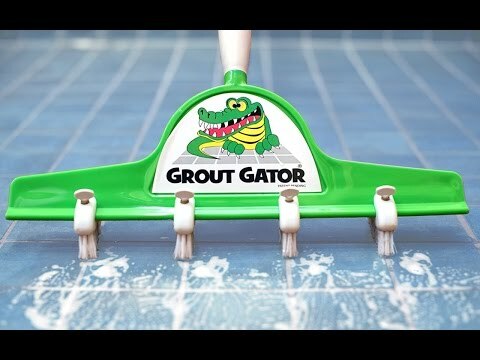 Designed to accommodate tile sizes from 2 to 12 inches, the Grout Gator's brush heads are easy to adjust and its soft-grip handle is angled for optimal results. For hard to reach areas, this innovative cleaning tool can even be attached to any standard sized household cleaning pole.